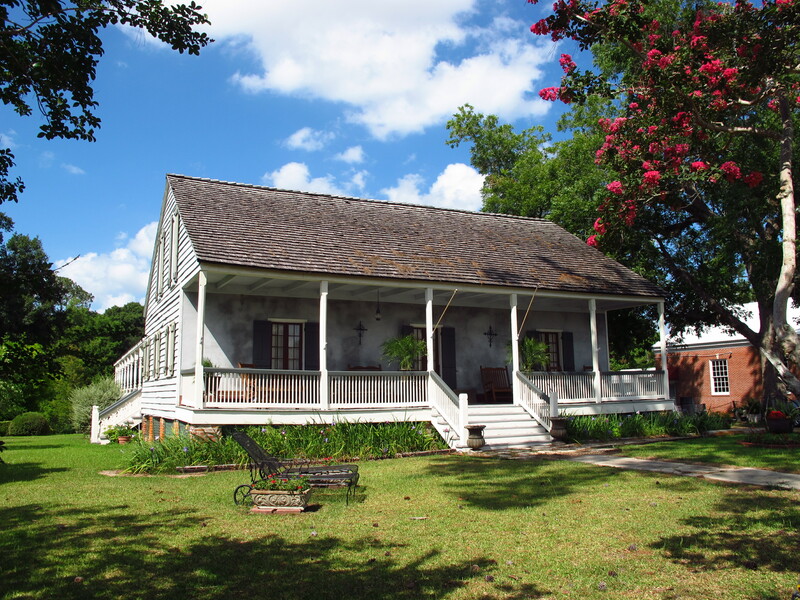 Old House in Breaux Bridge, LA. My interest in history began at an early age. As a young boy, I enjoyed visiting museums and historic sites. My interests progressed to reading about history. I developed a special interest in military history. During my grade school years, the curator of a local college museum allowed me to borrow several artifacts for use in a school talk on history, including Civil War belts and muskets, a WW I German gas mask and spiked helmet. That experience hooked me and I began collecting militaria, even setting up my own “museum” which began as a set of shelves in my room, but rapidly progressed to a full room in our basement. I continue adding to that collection, which I named the Museum of Military History. Along with military history, I enjoy the study of history in general. I’m especially interested in the Ancient World, the Old West, Victorian England, fire and police service history, aviation history, and the history of technology and industry (particularly automobiles). With my rather eclectic interests in history, I simply enjoy learning about how people used to live and how they overcame obstacles. I strongly believe we can learn much about the present day, as well as the future, by studying the past. A few years ago, I was fortunate to obtain a master’s degree in military history. From this list, my top areas of interest are the American Revolution and the Civil War. I also find the conflicts which occurred between the end of the Revolution and the beginning of the Civil War very interesting, especially since they are so little remembered today. With my interest in the Old West, the life of the frontier soldier naturally dovetails. I’ve actually visited several frontier forts, including Fort Clark and Fort Concho, both in Texas. I was a member of the living history program at Fort Concho while I was stationed at Goodfellow AFB. Clearly, with my interest in history, I feel strongly regarding the need to preserve our past. I think it’s important to preserve places and objects of historical significance — from buildings to land (such as battlefields and cemeteries) to individual items (photographs, machines, clothing and so forth). You can only learn so much from reading. History really comes alive when you stand on the actual ground where it happened or hold an object in your hands. To lose sight of our history is to lose sight of our identity.